Since 1983, film fans have been waiting for the continuation of cinema’s most successful franchises. Now, after almost a year since its initial teaser trailer was released, Star Trek director J.J. Abrams steps up to deliver the newest instalment in the Star Wars saga. 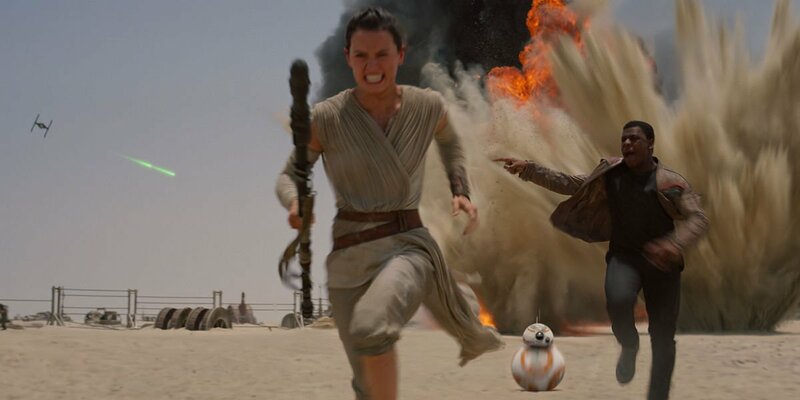 Star Wars: The Force Awakens takes place 30 years after the events of Return of the Jedi. The film focuses on new characters Rey (Daisy Ridley), Fin (John Boyega) and Poe Dameron (Oscar Isaac), while bringing back characters from the original saga. There has been a lot of anticipation surrounding The Force Awakens. After the general lacklustre reception of the prequels, it seemed like the franchise had lost the reputation and imagination captured by the original saga. Since 2005’s Revenge of the Sith, Lucasfilm has had its ups (acquired by Disney for $4.06bn) and downs (Kingdom of the Crystal Skull), but developing an additional installment in the Star Wars franchise was a gamble. The expectations of Episode VII have led to numerous theories from fans and questions about the background of the new characters. However, the majority of these all point to one thing; a hope to expand the saga. Similar to A New Hope, Abrams and co-screenwriters Lawrence Kasdan and Michael Arnt focuses on the roots of a new adventure. The Force Awakens opens up an existing world with a new perspective while retaining the excitement of venturing into the unknown. Additionally, the filmmakers also manage to balance the old with the new; scenes with established characters such as Han Solo (Harrison Ford), Leia (Carrie Fisher) and Luke (Mark Hamill) and subtle nods to the original saga resonate with older fans, making this a more rounded film. Through its relatively simple premise, the first hour or so brings a nostalgic tone, ranging from the endless desert of Jakku and forming new acquaintances, while the second half delivers on action, with the notable addition of physical sets being a plus. As a package, it forms a solid platform to introduce the new cast, whose diversity highlights a key quality in Abrams’ feature. With regards to the new additions, their intrepid performances help revive the tension, thrills and joy the prequels failed to deliver. Ridley and Boyega share a fun yet genuine chemistry, yet stand out in their individual roles. Ridley presents Rey as a strong female sci-fi character, and Fin’s consistent humour and loyalty sows the seeds of a new hero. Additionally, the complexities behind Adam Driver’s Kylo Ren deliver a much-needed emotional side to the story, while opening up the possibilities of what to expect in Episode VIII. With its nostalgic tone, great dialogue and simple-yet-effective story, The Force Awakens is a strong comeback for the franchise. 2017 can’t come fast enough.